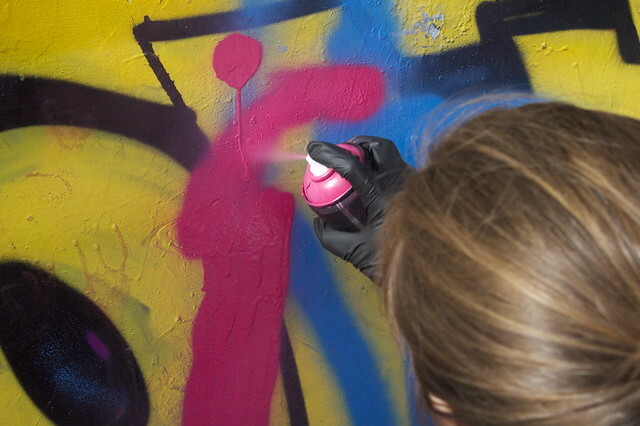 Last Saturday we had our Intro to Graffiti class with Robbie! 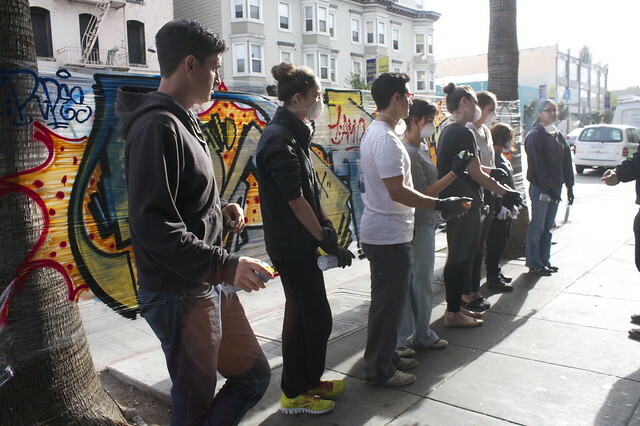 The Intro class broke down the history of graffiti in a slideshow, folllowed by a mural walk, and ended in a sketch and spray paint session! Check out our upcoming NEW classes happening in November HERE and a special PROMO code in “read more”! Classes are a great present for the Holidays! *BLOG SPECIAL* – USE PROMO CODE: CRANBERRY when you sign up for any November Classes in the check out notes to claim a FREE can of paint or a 1AM iPhone cover case (iPhone 4 & iPhone 5)!